I’m a long time user… and there is something wrong with 1Password Web. I’ve using TAG’s a lot to find logins easier but there is a bug in 1Password Web (my.1password.com). Unfortunately there is no dedicated support forum category so I have to put my problem description in some other topic. I use 1password.com with Chrome on Windows 10 so I’ve choosen the Windows category. 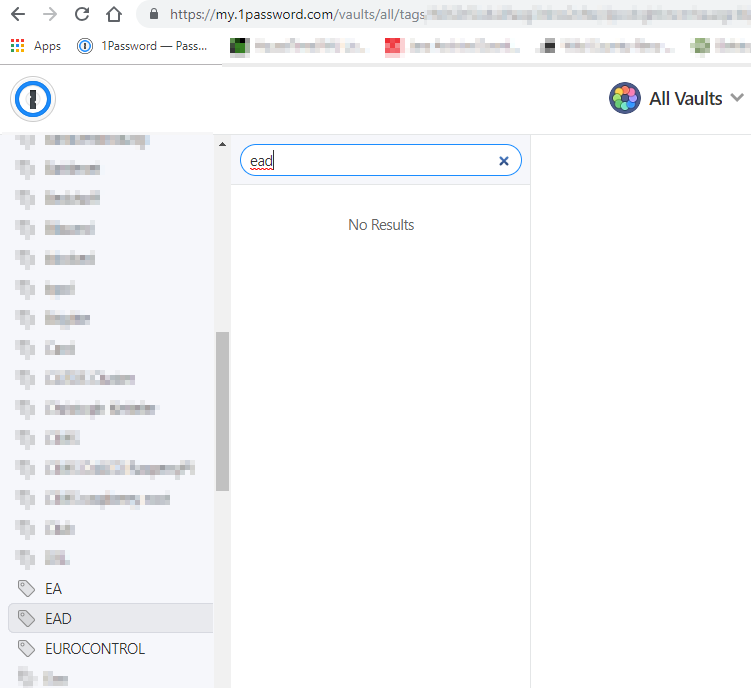 I’ve two logins tagged with “EAD” but when I search for EAD the result in 1Password Web is empty. When I browse to the TAGS section and open EAD tag manually it will show up the two accounts. 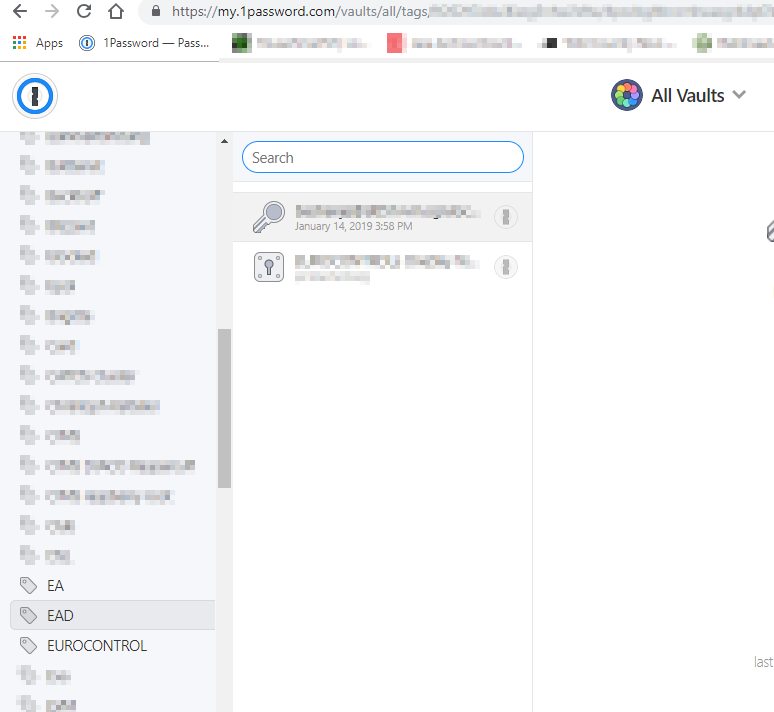 When I search for EAD in all items the 1Password WEB only shows 4 hits (excluding the ones tagged with EAD). When I search in the 1Password iOS app about 10 hits are shown incl. the one eith the EAD tag. This is very bogus. Please repair the search in 1Password web! @Sensemann - I'm sorry for the confusion. 1Password's web interface search doesn't currently search tags, only item titles.